When we released our first whiskey in 2010, we had the dream of being the best Rye Whiskey brand in the world. To our Master Distiller, Dave Pickerell and our founder, Raj Bhakta, this meant sourcing the highest quality ingredients, setting a new standard for experimental aging techniques, and most importantly being as bold in conviction to our dream as our Rye was in flavor. 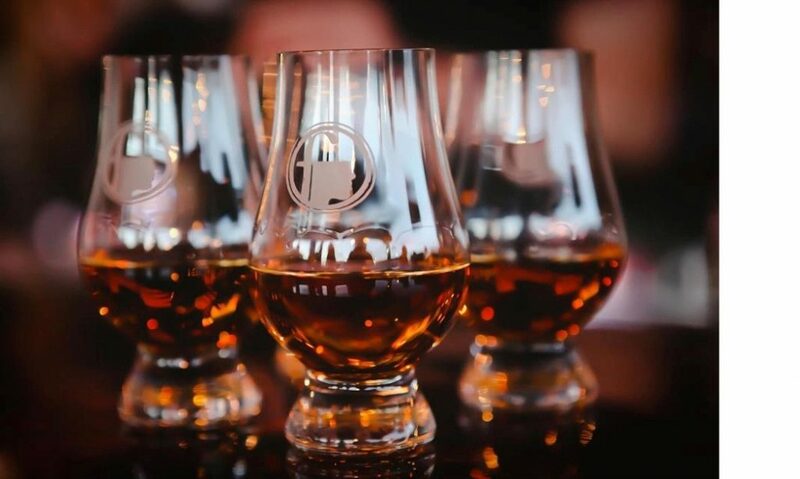 However, the timeline of our accolades was only a path to a loftier goal: To create within our still, the first Triple Terroir Whiskey in American History. 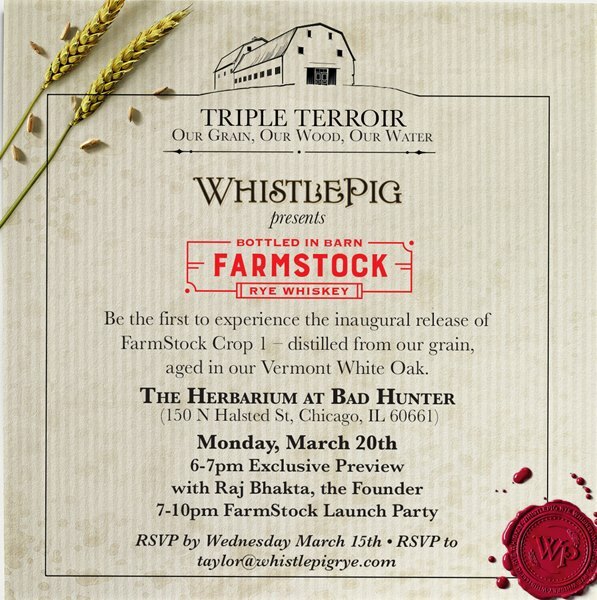 On March 20th in the Herbarium above Bad Hunter, we will be unveiling the pinnacle of our distilling efforts, WhistlePig Farmstock. Join our founder Raj and the team in celebrating decades of work, and whiskey patiently aging preparing for this very moment… when we consume it in seconds followed by a satisfied sigh. LIVE music performed by the exquisitely talented MIDWEST, a life-sized coloring book for those of you who like to stay between the lines, and for those of us who stray beyond the norm… well its best experienced without a paper trail. All with superb cocktails and food to keep us going. Be the first to give your thoughts on the latest edition to our family!